We offer crown and bridgework, partials, full dentures, and dental implants to replace missing teeth. To learn more about these procedures and which will work best for you, contact The Dental Care Center nearest you and make an appointment. When compared to traditional radiography, a digital X-ray emits about 80% less radiation. Detailed images are immediately available for viewing on a chair side monitor, and we can transfer digital X-rays and photographs quickly via the internet to insurance companies and specialists as well. Digital X-rays require no hazardous developing chemicals, so they’re earth friendly! Absolutely. We bet you didn’t know that teeth whitening, in some form, has been around since the 1700s. Modern teeth whitening uses safe and effective bleaching gel to melt away stains and discoloration. Choose from Zoom! Whitening in our office or take-home teeth whitening kits. 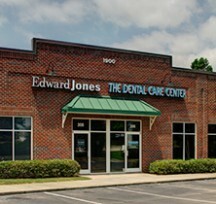 Well, we’ll start by evaluating your oral health, existing smile, and discussing your idea of a spectacular smile. We may suggest porcelain veneers, teeth whitening, replacement teeth, and replacing metal dental work with aesthetic restorations. Your smile may benefit from some artistic bonding and contouring or ClearCorrect clear braces. 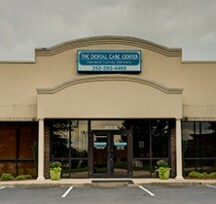 call to schedule an appointment at The Dental Care Center location nearest you, and we’ll work with you to determine the best road to your ideal smile. Dental insurance is diverse. Some policies cover only a small percentage of fees, while others cover 50 % or greater. The more you or your employer pays for premiums, the better the coverage, in most cases. Generally, dental insurance covers some restorative and preventive procedures. Cosmetic treatment is not usually covered. We accept CareCredit third-party financing to make dental care affordable for all of our patients. If you have questions, give us a call. We’ll be happy to tell you what your insurance will cover. Insurance is very confusing. Can someone in your office help me file? Yes. We understand your confusion and will gladly file your claim and help you understand your insurance coverage. 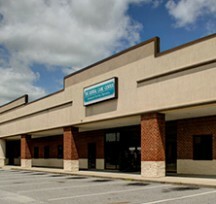 Simply bring your card or claim into our office, or call to speak with a friendly team member. 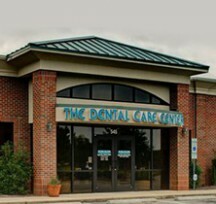 Does The Dental Care Center see emergency cases? Yes. We see emergency cases during regular business hours. 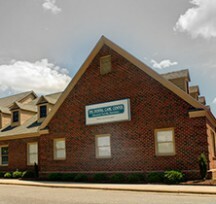 After hours, we offer a phone number on the answering machine, so patients of record can contact our dentist on call. 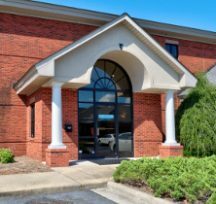 If you’ve visited our office in the past year, call our on-call phone number, available on our answering machine. New patients should go to the emergency room or visit us when the office is open.